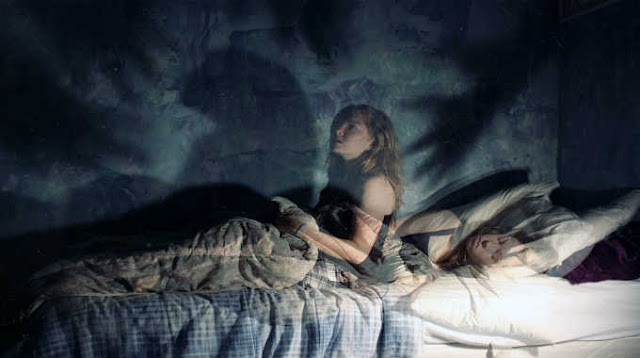 Mystics claim that the world of our dreams can be a connection to other worlds, inaccessible to our waking consciousness, so it is not a coincidence that since ancient times it was believed that dreams of died people are an important sign that must not be ignored. The dead come to our dreams with a message, advice or warning that should be understood in order to avoid unnecessary troubles and keep ourselves from making mistakes. Psychologists believe that dreams about relatives or friends who have passed away are just a manifestation of depression or feelings of guilt towards them. However, let’s take a closer look at the mystical point of view and try to understand what messages can be carried by people who are now alive only in our memories and can talk to us only through our dreams. Modern dream books often do not pay enough attention to many important nuances: what the dead people look like in our dreams – dead in the grave, alive and happy, or they come to life right before our eyes, or maybe we just do not remember in our dream that this person has passed away long ago. It is commonly assumed that the dream of a dead person (talking to him, listening to his advice, and doing what he tells) is a sign of unexpected news or changes in life. Christian dream interpretation books sometimes explain that we have such kind of dreams when the soul of our deceased relative or friend has not found peace yet, and advise to hold additional ceremonies at the funeral and repose of the deceased (for example, if in the dream the deceased asks for water). Pagan interpretations of dreams that have come down to us recommend to implicitly obey everything that the dead person asks for, in order to avoid the anger of the gods. And while dreaming dead people may be scary, sometimes it can be a good omen. In case if in your dream a dead person comes back to life, it may mean that something lost will soon return (money, a thing, or even social status). An English dream book interprets the dream of dead people as a sign of good events in the family, such as a wedding or the birth of a child or anything happy and prosperous. Another dream book says that seeing a dead relative in a dream before the wedding is a warning against the union. This dream indicates the unhappy marriage and warns that the children born in it will be sick and weak. What about dreams of a deceased relative? At this point there is no definitive interpretation, and you should always take into account many confounding factors. But most interpretations concerning dead relatives (especially parents) appearing in a dream indicate a warning of trouble. Sometimes the dreams in which a sleeping person communicates with his deceased parents, help find inner peace, confidence, and even affect the success in business and the well-being of the family. It is also believed that it is impossible to influence the dreams in which we see our dead loved ones. Even if you manage to do it, it is absolutely useless, since it is not us who call them in, it is them who decide to come to us. For further information, check dreams of the deceased.